Director Kenneth Lonergan’s Manchester By The Sea seems like the hottest film at Sundance this year, with scores of movie buffs flooding the streets of Park City while cosplaying as their favorite Manchester By The Sea characters. Now, Variety is reporting that Amazon has won the bidding war for the domestic rights to Manchester By The Sea, reportedly paying $10 million for it. 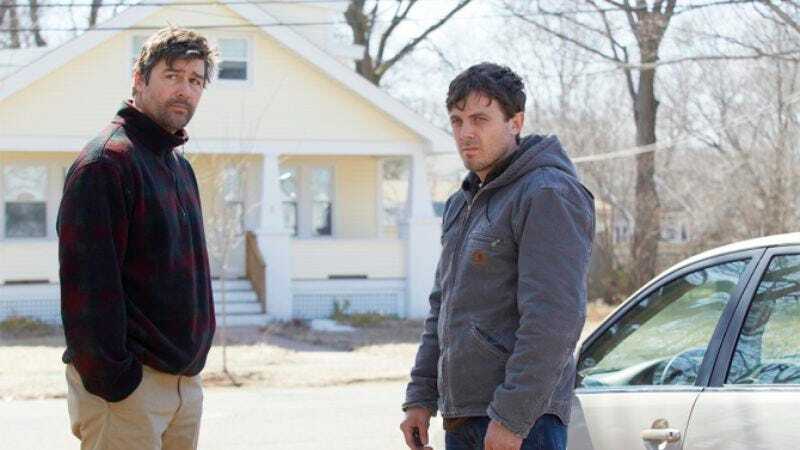 The film stars Casey Affleck as a guy who is asked to take custody of his nephew when his brother (Kyle Chandler) dies from a heart condition, and The A.V. Club’s own A.A. Dowd referred to it as “unspeakably moving,” and “a tremendous achievement.” Manchester By The Sea is also getting Oscar buzz already, so it sounds like Amazon’s $10 million might have been pretty well spent. Now Amazon is looking to find a distribution partner that can get the film into theaters, so hopefully they’ll find a studio that can make it a whiplash-inducing double-bill with Paul Dano and Daniel Radcliffe’s farting corpse movie.